"A third collection of previously unreleased recordings by this late 1960's British psychedelic band fronted by Peter Dunton, who went on to form the legendary band T2. Dunton was a key figure in UK psychedelia, founding or playing a key role in many important bands. In brief, here's Dunton's pedigree: Neon Pearl (1967), Please (1967) and (1969), Flies (1968), Gun (1969), T2 (1969-1972), and Infinity (1969-70). 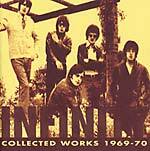 This release follows on from two other superb albums of unreleased music by Please, 1968-1969 and Seeing Stars. 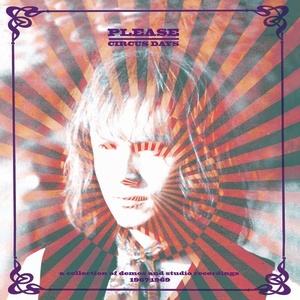 The music on Circus Days can easily be filed next to that of contemporary bands like Blossom Toes, Forever Amber, Tomorrow, July, and an album which is now lauded as one of the best of the era, Odessey And Oracle by The Zombies. Circus Days contains such highlights as the original 1969 demo version of 'Morning,' later to appear on T2's fabulous It'll All Work Out in Boomland album. There are also some earlier demos including the classic 'Gently As You Feel' and 'To Dream', a track that features additional female vocals. Circus Days also includes other previously unissued gems that will fit very well next to your collection of Please, Neon Pearl and T2 records! Limited edition of 500 copies. Companion to two other superb albums of unreleased music by Please, 1968-1969 and Seeing Stars."